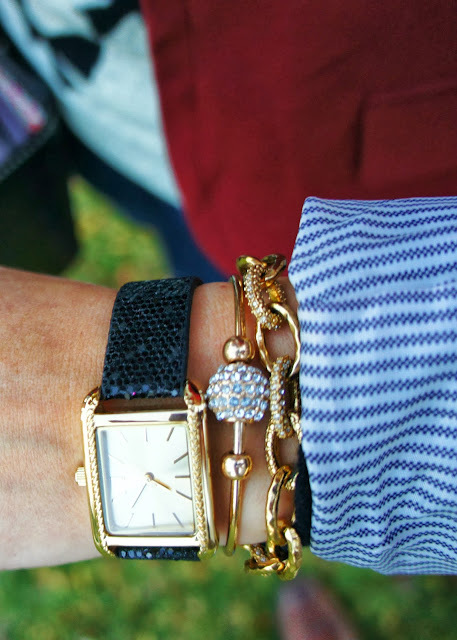 It has been a while since the last "How We Wear" collaboration (which can be seen here), so Bethany of Perfectly Coutured, and I decided it was time to share another one. 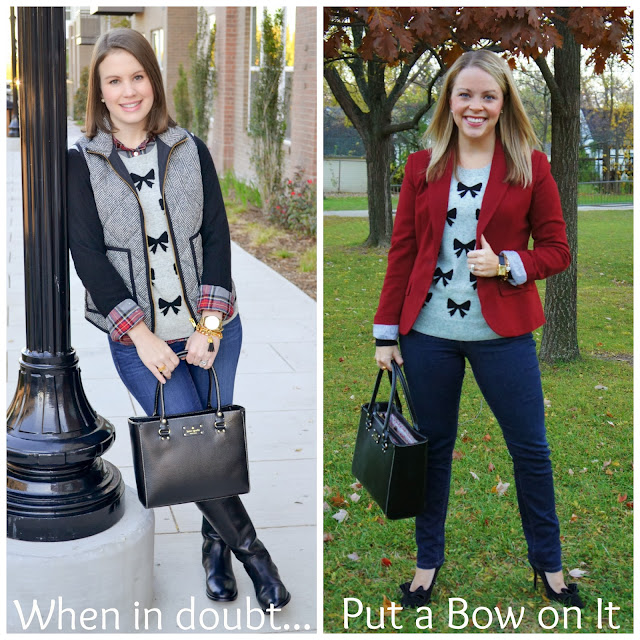 Today, we are bringing you two ways to style the Factory bow sweater! We don't know about you, but we are obsessed with bows whether it's sweaters, shoes, or jewelry, we simply love it all. 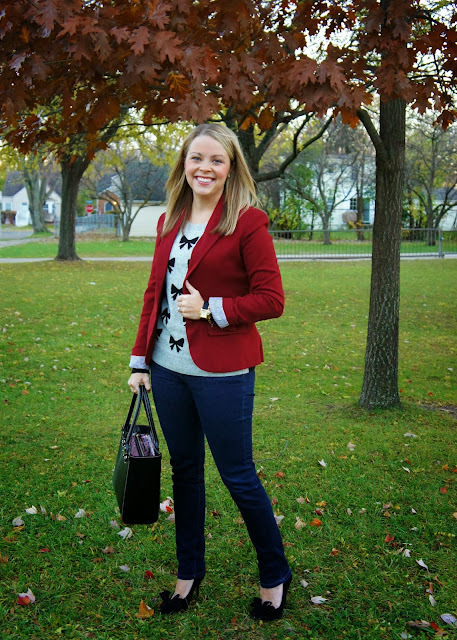 Check out the two ways we have styled our sweaters below. Bethany decided to do a little print mixing by layering her sweater with a plaid shirt and her favorite puffer vest. This will definitely be a go to look for the upcoming holidays! 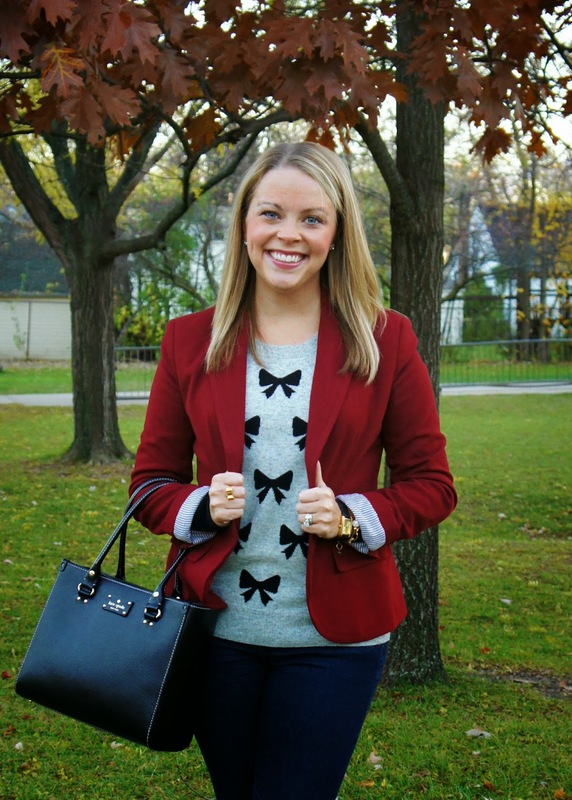 Meanwhile, I kept it classic by pairing my sweater with a red blazer and fun bow heels. This look can easily be made work appropriate by swapping out the denim for a pair of black wool pants. I am also anxious to wear this sweater with a hunter green blazer during the holidays. And yes, we are both carrying the same Kate Spade bag. Great minds think alike! 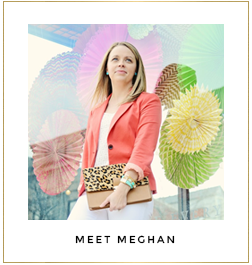 To see more of Bethany's look, head on over to her blog. 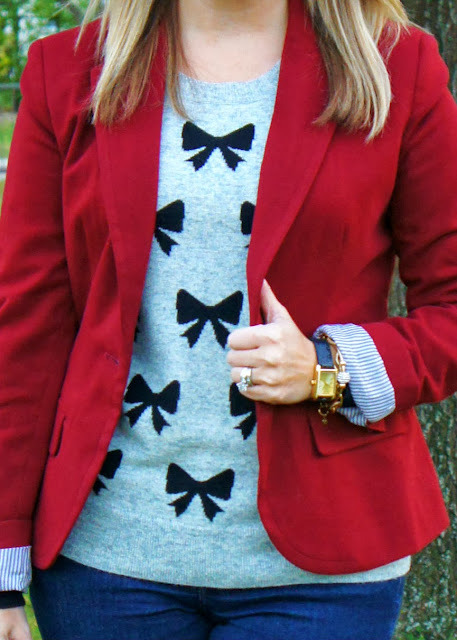 I also recently purchased the Loft bow sweater during a 50% off sale (currently 40% off until 11/17 for Friends & Family). Both sweaters will be on repeat this winter, especially during the holidays. Not only will I wear them with my red and green blazers, I am also picturing them with plaid pants (as featured here). I will definitely be trying Bethany's look as well! Are you as bow-obsessed as we are? How would you style a bow sweater?